Take your middle school students from Sixth through Eighth Grades with our Preparatory Unit Program. Tired of trying to put together your own curriculum, year after year? Try our Preparatory Unit Program tools — nine history/topical units from Creation through Modern. Learn to teach history, language arts, science and fine arts using real, living books. Our unstructured Preparatory Unit Program will teach you how to teach the Charlotte Mason way. Your 6th – 8th graders will read language rich, concept-oriented, in depth chapter books from our recommendations, including both fiction and non-fiction. Through our book suggestions, the Preparatory program offers a more detailed presentation of historical periods, people and events when compared to the Intermediate Unit Program. Choose a variety of books that use different learning channels as we identify materials that are available in auditory or more visual formats. Read science books focusing on specific concepts and study the scientific method through experiments and activities. The Preparatory Unit Program provides a greater focus on geography and organizational skills than the Intermediate Unit Program. Sample of the Preparatory REVOLUTIONS unit here. 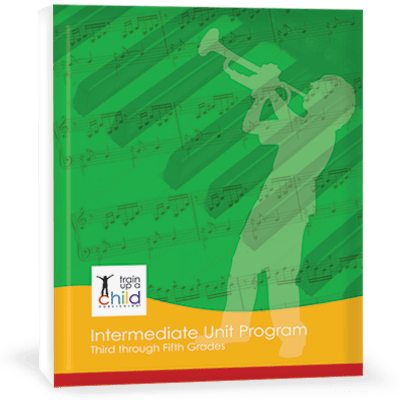 See a sample schedule for our Unit Programs here. I understand how I could teach history and science with books, but what about Language Arts? 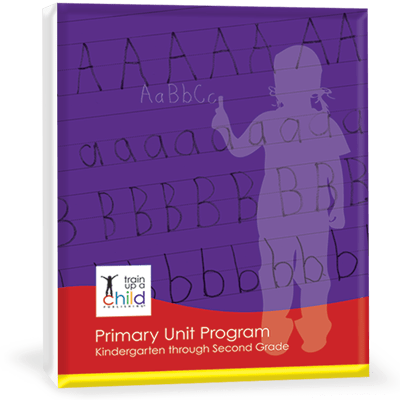 Our Teacher’s Manual for Fifth through Twelfth Grades (digital format) included in the Preparatory Unit Program will teach you how to teach and evaluate language arts. We’ll show you how to teach oral and written narrations and use them for evaluation. You’ll also learn how to use students’ compositions to teach grammar, punctuation and spelling. Additionally, we’ll give you ideas of how to teach vocabulary from your students reading. (Remember the SAT and ACT will be coming before you know it!) Speaking of high school, the Teacher’s Manual also contains a crucial section on teaching and evaluating middle school and high school writing, something our parents tell us they love! If you have another grammar or spelling program that you are already using, no problem! 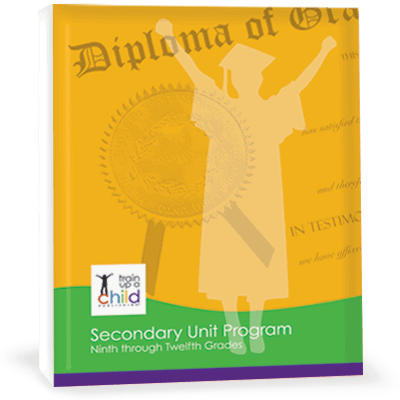 You can use the Preparatory Unit Program for language arts OR use it with another program you are already using. What’s Included with the Preparatory Unit Program? Our Preparatory Unit Program includes nine historical units and one resource unit covering from Ancients through Modern. 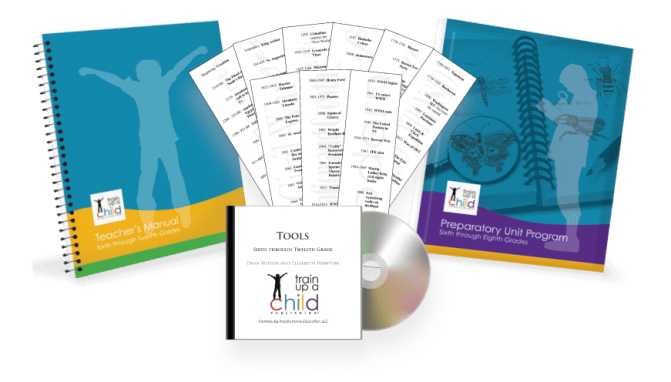 It also includes a 100+ page Teacher’s Manual , a download of customizable forms, graphic organizers and other resources, and a digital file of nine printable, cut-apart history bookmarks corresponding to our nine historical units. 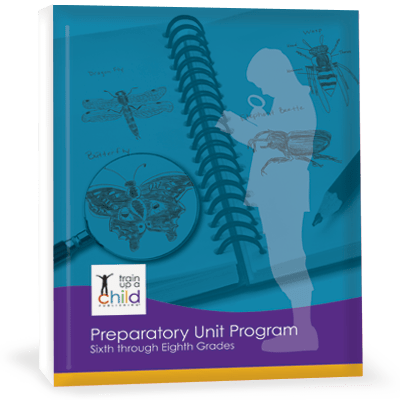 This well-rounded Preparatory Unit Program also includes map activities, ideas for mini- and lapbooks, writing assignments and topics for further research. Note: This is a digital product. We’ll send you the download link as soon as we receive your payment. How do I use the Preparatory Unit Program? Read the Teacher’s overview for each unit. Journal what your students read and do. Using our pre-read book suggestions and assignment ideas, you can give your students a Charlotte Mason-type education! Train up a Child Preparatory Unit Program is a wonderful curriculum that teaches History chronologically and integrates subjects seamlessly. I had searched high and low for a curriculum that was easy to use and brought together all that my children had learned in previous years and then built on that knowledge. 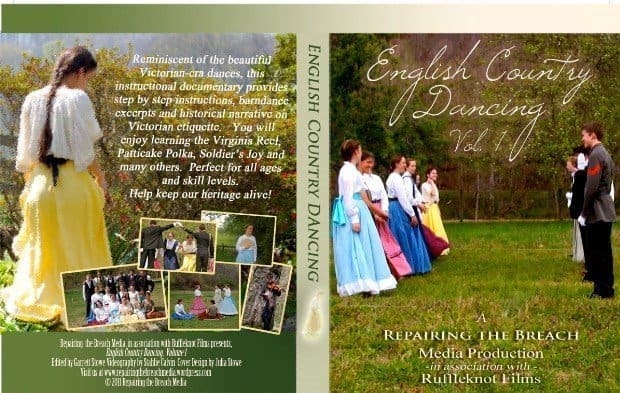 It challenges them to dig deeper into History and encourages a lifelong love of learning. I loved this curriculum and am now recommending it to my daughter to use when homeschooling her children!